So I’m pretty political. I love politics in fact. And sometimes I like to live-tweet things like debates on my personal twitter account @Lia_Bia — feel free to follow that for politics snarking rather than food (stick with @creativeating for food stuffs). 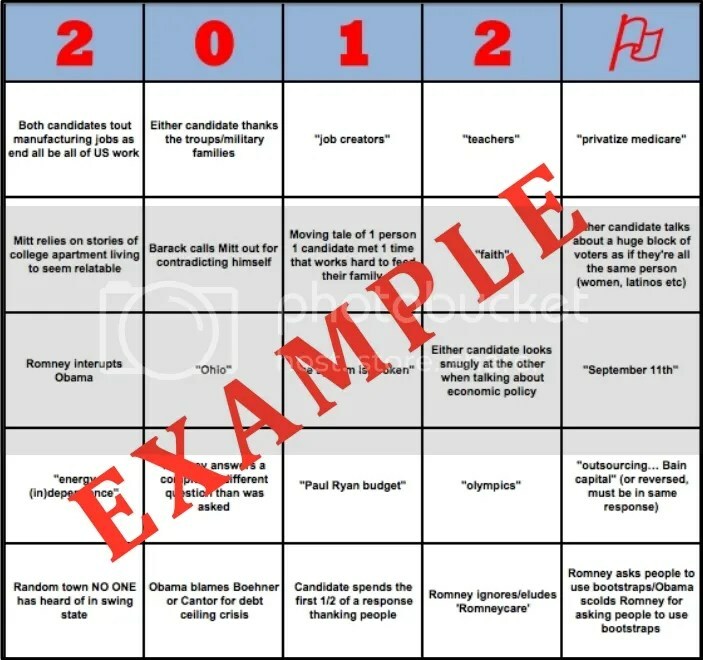 In line with this, I have created a bingo game for next week’s domestic policy presidential debate. So, if you download this, you can ‘shuffle’ it and print out different cards for your friends and play a little election bingo (print space should be set correctly for just the card portion). Winner gets a second vote (as long as you’re not in one of those pesky voter ID states) 🙂 JK.